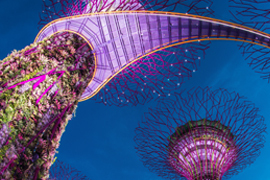 Singapore is a pulsating destination with a blend of highly innovative sights and appealing cultural attractions, but that doesn’t mean that it skimps on nature and wildlife inspired highlights, thanks to its wealth of extraordinary zoos, sprawling gardens, and tranquil parks. Come discover it all in just five days with our all-encompassing Leisure Holidays Singapore. Get to know this wonderfully diverse city-state in detail on a city tour which ensures that you won’t miss any of the city’s main delights. See Merlion Park and Marina Bay, pass through Orchard Road and Suntec City, visit the ever sprightly neighborhoods like Little India and Chinatown, and above all, enjoy unforgettable Singapore Flyer ride, offering a breathtaking standpoint to absorb the unparalleled cityscape views. Then there is full day Sentosa Island tour, combining some of the island’s treasured sights and experiences like cable car ride, Madame Tussauds Museum, and 4D Adventureland. You’ll further visit the spellbinding Gardens by the Bay, which by no means is an ordinary garden. It features a staggering collection of over 250,000 plants across its three lush gardens and two observatories, apart from its distinct attractions like massive Supertree Grove. 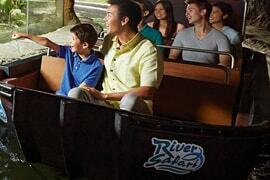 Your fun-packed leisure break also includes a trip to River Safari – the only river-themed zoo in Asia. Wander through its rainforest-like setting and explore its several themed sections representing some of the world’s most significant river ecosystems. As part of your river habitat expedition, you’ll take an exciting boat ride and eventually, savor an appetizing lunch. This is an appreciation post for Rayna Tours. 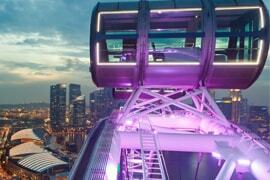 Recently I visited Singapore with a group of friends and had chosen this tour package by Rayna. The entire trip was perfectly planned. Right from the transportation and stay to the individual tours, everything was executed well. I would thank Rayna Group for such excellent services. I have been recommending Rayna to my friends and family ever since and will continue to do so. Keep up the good work, Rayna! Will recommend this package to my friends and family! If I have to describe my Singapore leisure holiday in one word, it would be wonderful. Every minute of the tour was filled with fun. I, my wife and 2 sons loved each and every tour. We cannot thank Rayna Tours enough for making the tour absolutely perfect. 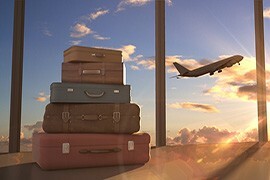 We would definitely plan our future holidays with Rayna Tours!